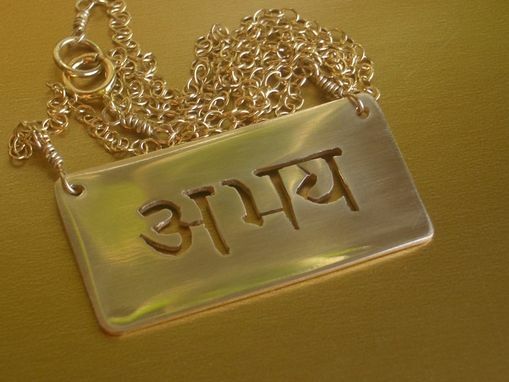 Wear this as a constant reminder to seize the day. 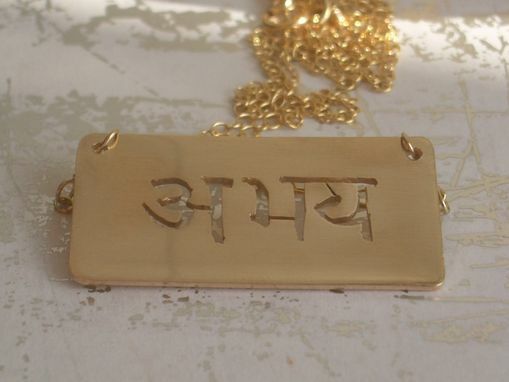 "Abhaya'' , Sanskrit for "fearlessness'' is artfully inscribed onto a rectangular gold plate. It hands on a 22-inch chain in the same material. You can also order this custom piece in satin finish or brushed matte.